Learn To Cook Simple Paleo Dishes In The Comfort Of Your Home! - Welcome to SarahKesseli.com! Teaching You How To Create Simple Paleo Dishes Right In Your Home! 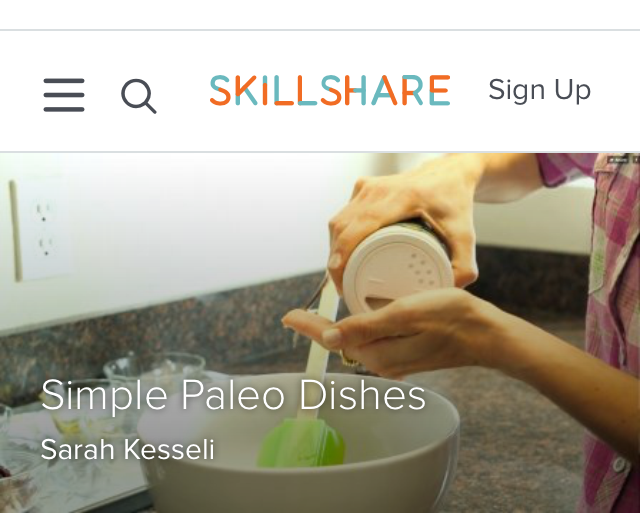 I am very excited to finally share with you an amazing class I put together with SkillShare that teaches you how to create quick, simple, healthy and of course, delicious paleo recipes any day of the week! In the matter of less than 30 minutes, you will learn some of my favorite swaps that can be used to transform your every day dish into something that is paleo friendly plus learn how to create 4 delicious recipes! You will be taken right into the Fit Chick kitchen for some fun and live demonstrations on how to make each recipe! Plus, get a little bit of food education and a few laughs along the way! to get transported into my kitchen for some tasty, hands on fun!